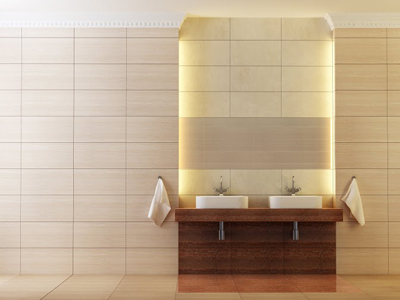 Perfection is required when it comes to tile installation. Improper installation and poor services would cause problems to the client tomorrow and that's the last thing we want. That's why “Drywall Repair Hermosa Beach” has chosen to work with the best tile installers and make sure services are carried out with care and professionalism. The good news is that we can install all kinds of tiles. From glass to stone and ceramic tile installation, we guarantee exceptional and careful work. Our experience has taught us to be careful and take nothing for granted when we work. On the contrary, we take all external parameters into account before we suggest new tiles and before we install them. For this reason, our work is always excellent and not only meets but exceeds all your expectations. Do you want experts in broken tile repair? We guarantee outstanding repair services as well. It's not unusual to notice wear of some tiles after years of use and it's more likely to have problems with the grout, especially in high moisture areas. You can count on us during such difficult times. We are experts in tile repair services and make sure your problems are dealt with at once. Drywall Repair Hermosa Beach has very professional contractors and their experience will be invaluable to you. Our tile contractors will give you proper consultation and take the right measurements so that you will get the right tiles and be sure they are installed properly. Count on us when you want to replace a couple of broken tiles or when you need bathroom tile installation. We can replace tiles of big surfaces or just one broken tile. We have plenty of technicians and thanks to their expertise in drywall repair, they can install tiles on walls and ceilings as well. We can deal with tile problems and we can also prevent them by using epoxy grout for the installation. We do everything possible to eliminate future problems and in this context we use the greatest materials on the market for our work. 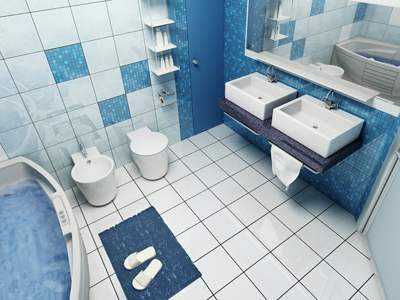 As tile installation experts, we can assure you that our work will be done to your satisfaction and also in due time. We excel in flooring installation. We use the best quality grout and advice you to get first class tiles when it comes to kitchen floors. We pay greater attention when we install tiles in showers and bathrooms since these are the most moisture places in the house. Our experts also install tiles in the exterior of the house and their excellence is guaranteed, too. Send us a message via email if you have questions or want our assistance.